I'm doing a new dollhouse. This one is a little artist's cottage. A little forgotten house where an artist would love to paint. 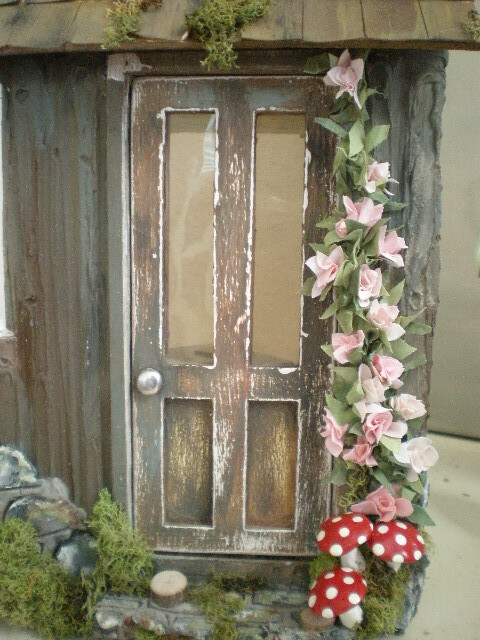 A little run down shed with a shabby chic and romantic interior. The exterior is almost all done. I can't wait to share more with you! oh, I just know I am going to love this one! I can't wait to see more! I can't wait for you to open that ancient shabby chic magical looking door! 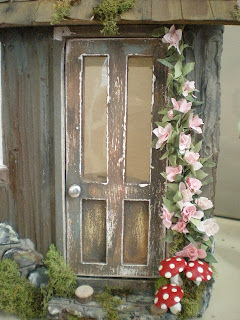 A wonderful door and I also can not wait to see more!!!!! OMG.....I cannot wait to see this! Now if you could create a life sized one, I would start packing!! I kind of like that word. A combo of mystify and wistful. Hi Caroline! Hope you got my last e-mail last Saturday...it's more house pics. Love the new exterior...can't wait to see inside. Caroline you amaze me with how you can keep coming up with such excellent ideas!! I am looking forward to this! !